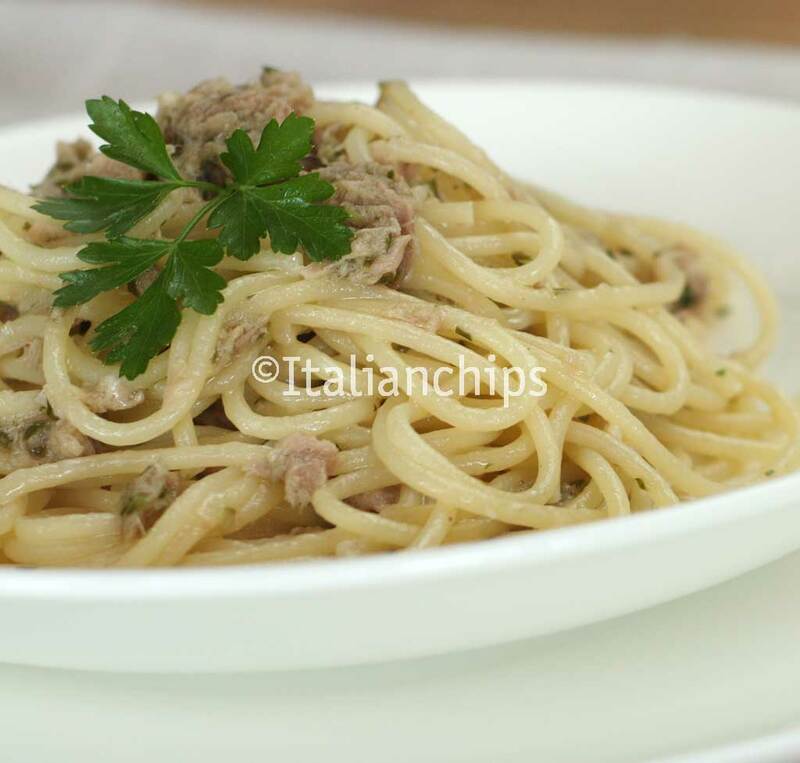 Our Tuna Pasta Recipe – Quick and Tasty! There was a period when I used to prepare this tuna pasta at least once a week. My children were at school and we got back home together, all hungry and this quick and easy pasta recipe was often the solution. 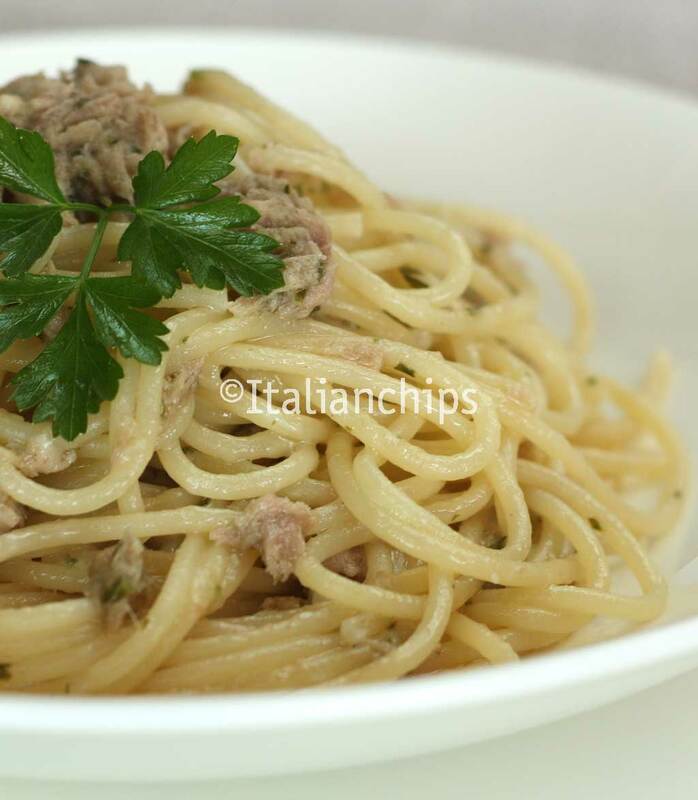 This tuna recipe is prepared while you boil the pasta, really easy and quick. 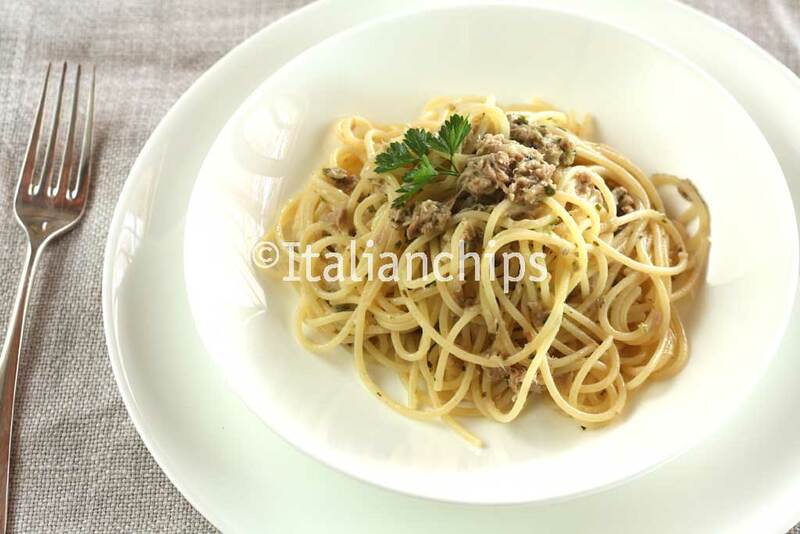 It is also a complete meal as it has tuna proteins (plus the cheese and anchovies ones), carbohydrates from pasta and fat from extra virgin olive oil. I prepared it today for me and my daughter’s lunch. I used the double of lemon juice I suggest in the recipe (I just love Italian lemon ;-)). I cooked 80 gr of pasta per person and we ate more than 1 plate each. These complete dishes satisfy you in many ways, with their flavor and taste, but also with a comforting quantity. 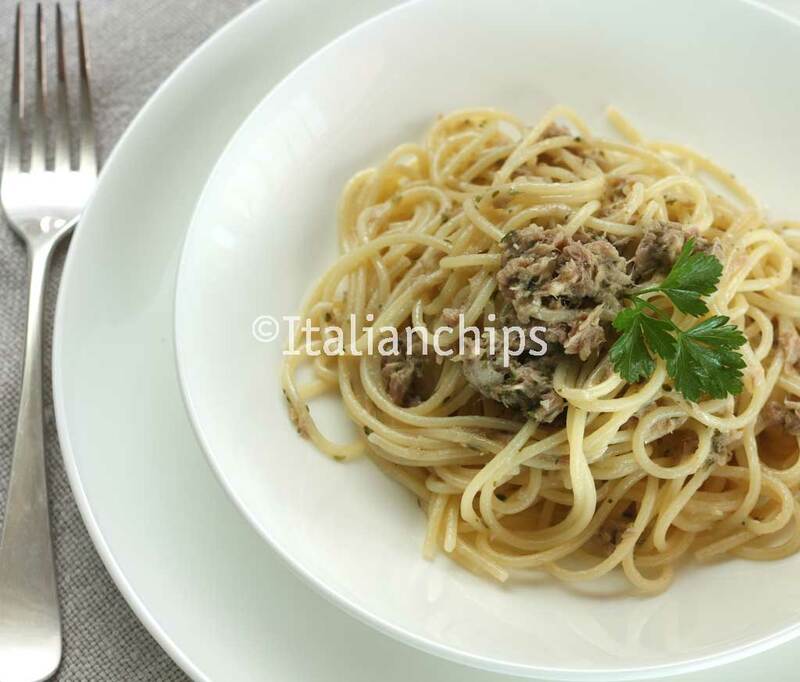 Our Tuna Pasta Recipe - Quick and Tasty! Put water into a pan and turn on the gas (this will serve to cook the pasta). In a non adherent pan add a thread of extra virgin olive oil and add the minced garlic. Right after add the anchovy fillets you have minced. After a couple of minutes add the canned tuna you have drained from oil and the minced parsley. Lei it cook for a few minutes until it becomes quite creamy. Add the lemon juice, mix it well and turn off the gas. When the pasta is done, dress it with this sauce adding grated Parmesan cheese.